Newly launched by Clean Power Research, the new “WattPlan” online application engages users with highly personalized answers about solar power and other energy technologies. 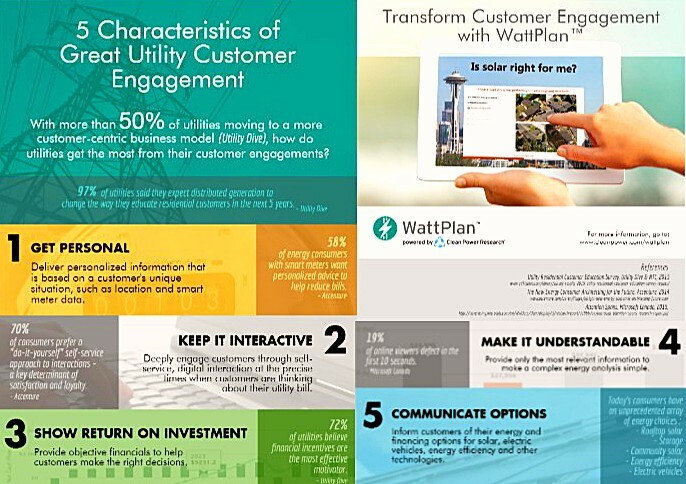 A scalable and cost-effective tool providing customer-tailored answers, WattPlan is designed to offer customer education when and where customers want it. Setting a new standard for “user-facing” online energy calculators, WattPlan builds on energy valuation solutions that have been in development and use for over 17 years. Recent innovations include the ability to use rate optimization, as well as interval data from smart meters. An award-winning innovator, Clean Power Research is delivering software products that enable customers to optimize financing, operation, and integration of solar power resources. The software facilitates engagement with consumers through the use of personalized energy evaluations, and streamlined business processes. Established in 1998, Clean Power Research has offices in Napa, California, and Kirkland, Washington. Utilities, government agencies, engineers, developers, manufacturers, installers, and financiers all rely on Clean Power Research for solar prediction, energy valuation, and program optimization solutions to optimize solar power for their businesses. Variables such as system size, finance rates, or installed solar power cost-per-watt can easily be modified by the customer to see the bottom-line impacts and make informed decisions. 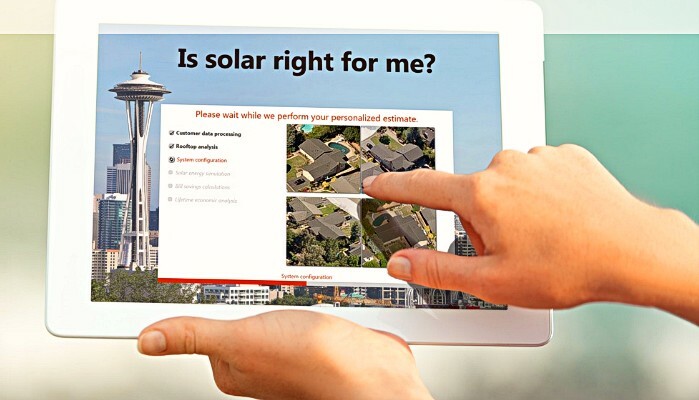 Utility companies adopting the new app are reporting an increase of cost-effective customer engagement about solar power options with WattPlan’s easy-to-use interactive, online experience. Among the early adopters of WattPlan are the Sacramento Municipal Utility District (SMUD) and Avista Utilities. Providing low-cost, reliable electricity for more than 65 years to Sacramento County and small adjoining portions of Placer and Yolo Counties, SMUD is the sixth-largest community-owned electric service provider in the United States. A recognized industry leader, SMUD is an industry award winner for its innovative energy efficiency programs, renewable power technologies, and for its sustainable solutions for a healthier environment. SMUD is the first large California utility to receive more than 20 percent of its energy from renewable resources. Avista Corp. is an energy company involved in the production, transmission and distribution of energy as well as other energy-related businesses, traded under the ticker symbol “AVA.” The operation division, Avista Utilities, provides electric service to 370,000 customers and natural gas to 330,000 customers. Its service territory covers a population of over 1.6 million people, spread over 30,000 square miles in eastern Washington, northern Idaho, and parts of southern and eastern Oregon. Alaska Energy and Resources Company is an Avista subsidiary that provides retail electric service in the city and borough of Juneau, Alaska, through its subsidiary Alaska Electric Light and Power Company.